There is much talk in our culture today about the issue of bullying, and it is a very hot button topic in the disability community. There have been studies conducted on the connection between bullying and developmental disabilities, and these studies found that children with disabilities were two to three times more likely to be bullied than their nondisabled peers. One of the studies found that 60 percent of students with disabilities report being bullied regularly compared with 25 percent of all students: http://www.pacer.org/bullying/resources/students-with-disabilities/ . These are very disturbing statistics indeed and should cause great concern in all people. The definition of bullying behavior includes, "behavior that hurts or harms another person physically or emotionally, and the bullying targets have difficulty stopping the behavior directed at them, and struggle to defend themselves." What kind of depraved, wicked society are we becoming when the most vulnerable human beings are targeted and subject to this type of immoral conduct? Today there is silent cultural disability bullying that identifies, targets, and terminally hurts children who have a prenatal diagnosis of Down syndrome, and the rate far surpasses 60 percent. The unborn "targets" of this prenatal cultural bullying have no hope of stopping the behavior directed at them once they have been identified and labeled "defective" by a misguided world. Currently 90%+ of children diagnosed prenatally with Down syndrome are intentionally targeted and physically terminated, and this prenatal cultural bullying epidemic receives very little if any media coverage or public outcry. If 90%+ of children of a specific race, nationality or gender were bullied because people saw them as not worthy to be here, what type of reporting or worldwide attention do you think this would receive? 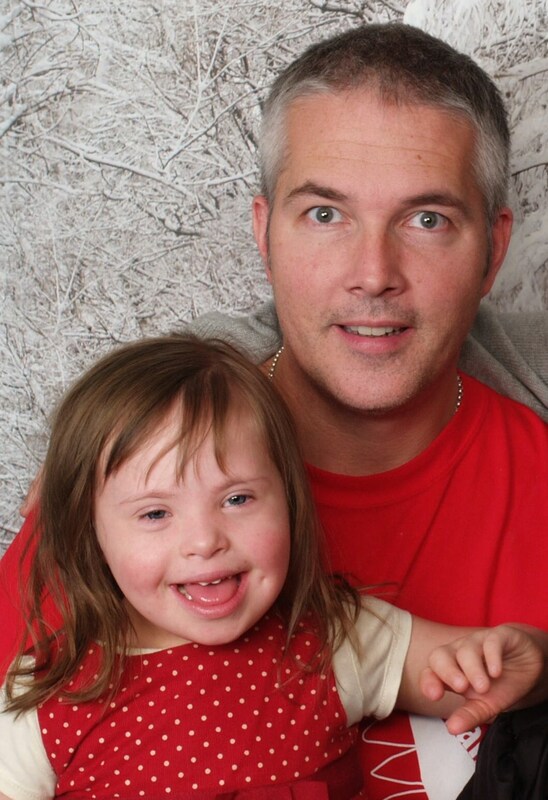 As the father of a beautiful daughter who has Down syndrome I am saddened by the lack of concern or engagement from disability advocacy groups on this prenatal genocide of the very individuals they claim to champion, defend and fight for. Very rapid advances in prenatal genetic testing could lead to the extinction of all unborn citizens our misguided culture labels "flawed" or "not worthy of birth," and we need a new group of prenatal/postnatal disability advocates who are willing to champion and speak up for our most defenseless people from conception to death. Every person is one accident or illness away from becoming disabled, and if we live long enough we all become disabled in one way or another. How we treat, defend, and advocate for the most helpless members of our community will greatly speak to the condition of the soul of our nation. My daughter Chloe and individuals with Down syndrome "come in peace" when they are born into this world and spread joy, purity, unconditional love and light we all desperately need. I pray this nation wakes up soon and ends the slaughter of this priceless miracle of LIFE before we enter into complete darkness.